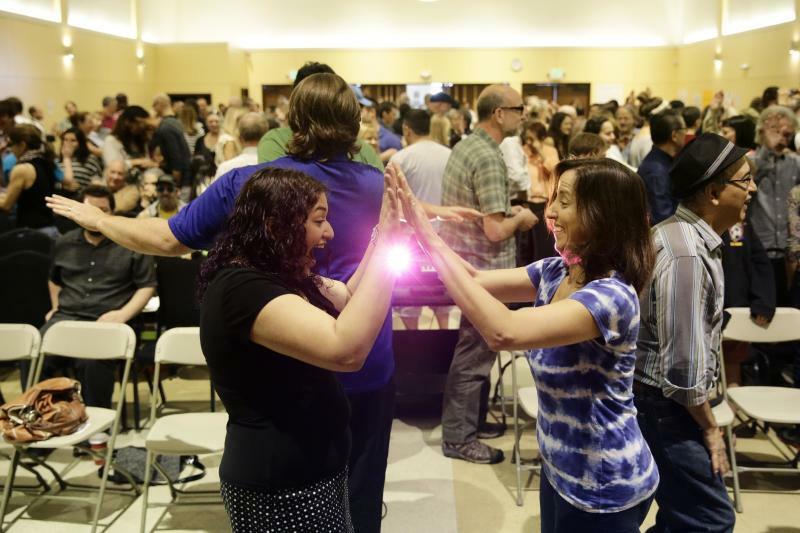 LOS ANGELES (AP) — It looked like a typical Sunday morning at any mega-church. Several hundred people, including families with small children, packed in for more than an hour of rousing music, an inspirational talk and some quiet reflection. The only thing missing was God. 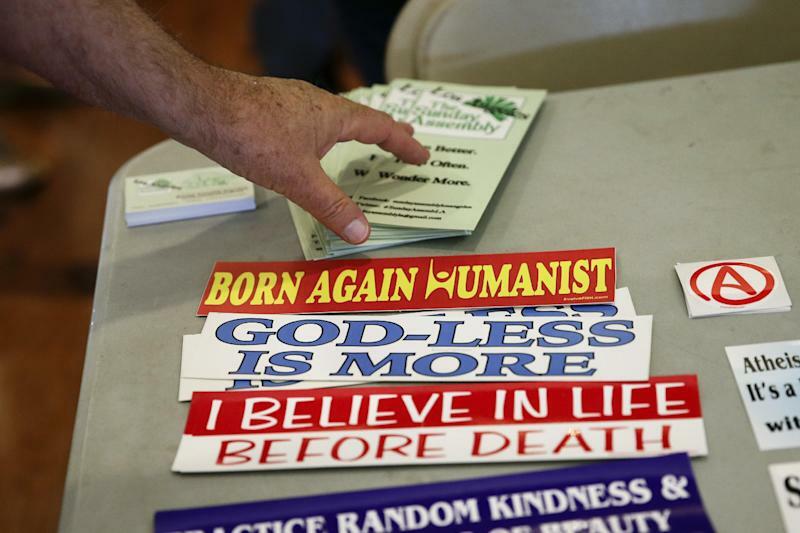 Nearly three dozen gatherings dubbed "atheist mega-churches" by supporters and detractors have sprung up around the U.S. and Australia — with more to come — after finding success in Great Britain earlier this year. The movement fueled by social media and spearheaded by two prominent British comedians is no joke. 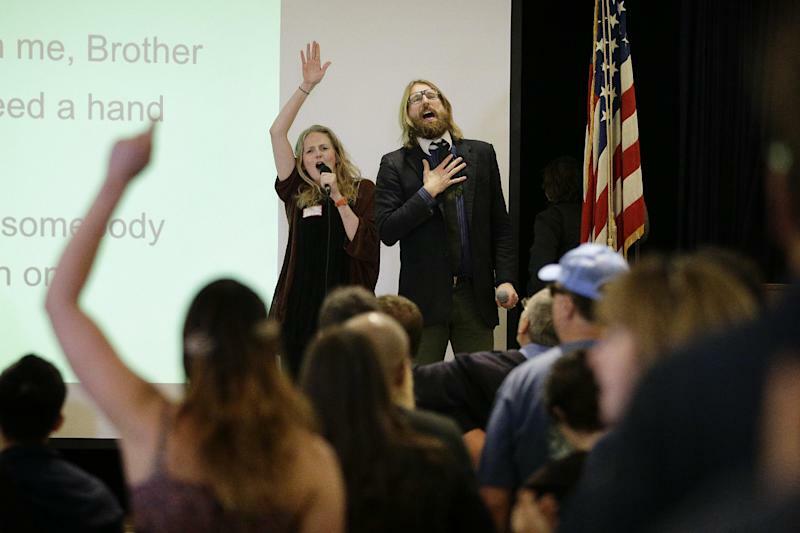 Sunday Assembly — whose motto is Live Better, Help Often, Wonder More — taps into that universe of people who left their faith but now miss the community church provided, said Phil Zuckerman, a professor of secular studies at Pitzer College in Claremont. It also plays into a feeling among some atheists that they should make themselves more visible. For example, last December, an atheist in Santa Monica created an uproar — and triggered a lawsuit — when he set up a godless display amid Christian nativity scenes that were part of a beloved, decades-old tradition. Hundreds of atheists and atheist-curious packed into a Hollywood auditorium for a boisterous service filled with live music, moments of reflection, an "inspirational talk" about forgotten — but important — inventors and scientists and some stand-up comedy.